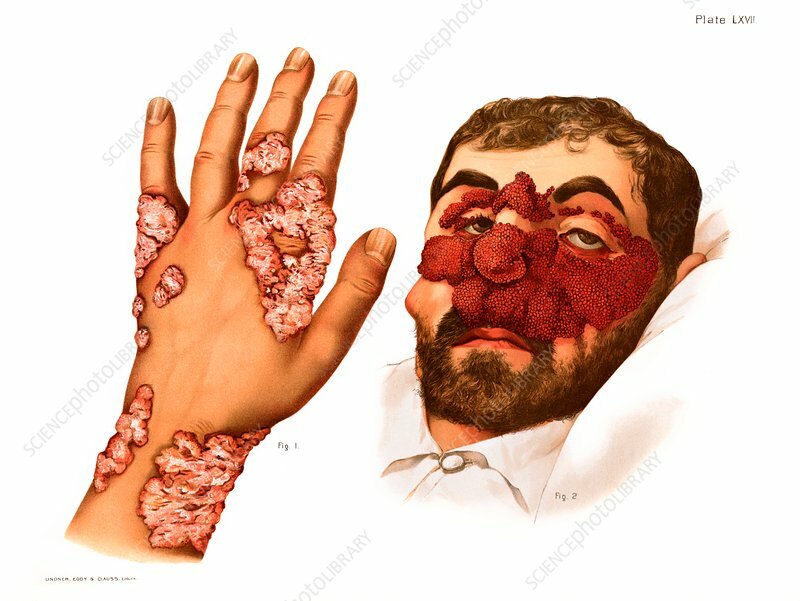 Lupus papillaris of the arm and hand (left) and tuberculosis papillomatosa cutis affecting the face (right), historical medical illustration. These lesions are manifestations of tuberculosis infection of the skin by the bacterium Mycobacterium tuberculosis. From Atlas of Venereal and Skin Diseases by Prince Albert Morrow, published in 1889.